Price is always a factor with your business. You want to make sure that every dollar you spend yields maximum minutes, features and of course, call quality. While you would never skimp on reliability, you want the most affordable service possible for your operations. Our list of the Best Affordable Small Business Phone Systems has compared companies for their per user, per month price, number of minutes and included features to ensure your company truly gets the max for every cent you pay your cloud phone provider. Ring Central offers a variety of plans so that a business can pick and choose which has the right number of minutes and features for the price. You can choose between the Office or Professional Plans, but it is important to note that Office plans come with unlimited calling, while Professional Plans include extensions free of charge – so it is a tradeoff between the two. 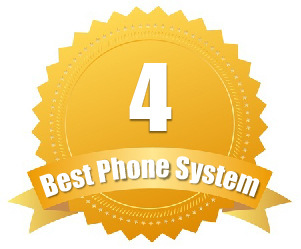 But, because Ring Central is extremely easy to integrate with CRM and other third-party software, offers flexible terms and over 40 features for free, they are our top pick for affordable virtual phone system providers. With Ring Central, you get exceptional call quality – so you are never sacrificing reliability and quality to save a few bucks each month. While upfront they may seem pricey, you may be surprised at just how affordable this big name virtual phone system provider really is. For Office Plans, you get unlimited local calling starting at $24.99 per month and going as high as $44.99 per month, per user. Toll-free minutes are not unlimited and range from 1,000 to 10,000 depending on the plan. If you are willing to trade unlimited calling for minutes, you get extensions added in free. Ring Central’s Professional Plans start at $22.99 per month (Pro Plan) for 300 minutes and two extensions, $29.99 per month (Pro Plus) for 1,000 minutes and five extensions and $39.99 per month (Pro Power Plan) for 200 local minutes, 1000 toll-free minutes and up to 10 extensions. If you opt for the annual plan – where you pay upfront per year, your price can go down to $12.99 per month for the Pro Plan, $19.99 per month for Pro Plus, and $24.99 per month for Pro Power. Not sure which is right for you? Try it for free first! Ring Central is offering a 30-day free trial so that you can see which plan works for you. This is also ideal if you want to try before committing to an annual plan (so that you can take advantage of the deep discounts). 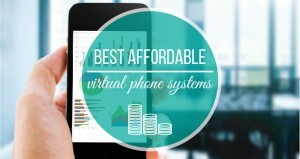 Virtual PBX is a feature-rich, highly reliable virtual phone system provider that caters to those on a tight budget. Just like Ring Central, they let you choose between unlimited calling or tradeoff for minute restrictions, but unlimited extensions and multiple numbers. 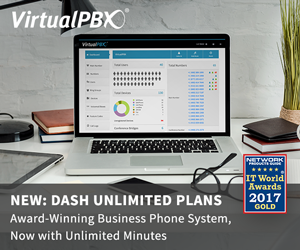 Virtual PBX offers two categories of calling plans: Office and Anywhere. With Office Plans, you get unlimited calling and 1,000 toll-free or conferencing minutes. With the Anywhere plans you have 300 to 2000 local minutes and toll-free minutes, but you get unlimited extensions, and two numbers free as part of your price. Office Plans come with unlimited local calling and 1,000 toll-free or conference minutes. These are charged per month, per user. You can choose from $33.99 per month for one line, $24.99 per month for two to 19 lines, $22.99 per month for 20 to 99 lines and $19.99 per month for 100 or more lines – so you will pay less the more users you add. AnyWhere Plans come with minute restrictions, but each comes with two numbers for free and unlimited extensions. Choose from Startup for $9.99 per month for 300 minutes, Pro for $19.99 per month for 1,000 minutes, or the Premium for $24.99 per month for 2000 minutes. eVoice is ideal for the small business user that is on a tight budget, but still needs exceptional call quality, features and enough user options to keep their business going. While they do not have any unlimited calling plans, they offer businesses multiple numbers and extensions all for a flat rate each month – giving you the power to look like an enterprise even if there are only three of you in the office. While their prices may seem steep, it is important to realize that most plans charge per user, per month. These plans include the lines and extensions for the single monthly price – so when you compare, you may be surprised at how affordable they are. Want a free trial? Before you commit, you can try eVoice for free for up to 30 days. There are no contracts after that, so you don’t have to worry about being locked into anything permanent either. Phone.com is flexible with their pricing – offering a base plan for less than $10 a month with the option to buy additional minutes or go to unlimited minutes. This is provides the perfect flexibility for businesses that want to have more scalability with their phone services. Phone.com is ideal for the small business on an equally small budget. 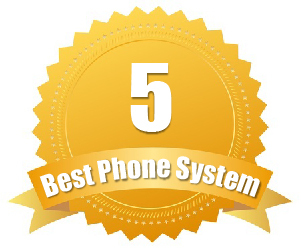 They offer great call quality and reliability as well as features that let your business look professional. You can choose from as little as 100 minutes or opt for their unlimited calling plan. Phone.com offers their Base Price plan at $9.99 per month for 100 minutes, then it's 3.9 cents per minute after the 100-minute mark. So if you use 500 minutes, you would pay $9.99 for your 100 minutes and $15.60 for the additional 400 for all of your users and extensions. You can also opt for the Unlimited Plan which is $23.99 per month, per user for unlimited local, long distance and toll free calling. Want to save even more? You can get 20% off the base price of $9.99 per month now by using the coupon via Revuezzle. Use link to the right and coupon code: SPECIAL. Nextiva offers type types of plans: Nextiva Connect which features shared minutes and call forwarding ability for busy professionals and then Nextiva Office which provides unlimited minutes on a per user basis and is more appropriate for an office setting. With each office plan you get unlimited calling and faxing. With the Office Pro plan, it starts at $19.95 per month, per user. For the Office Pro Plus you get unlimited calling and faxing for $22.95 per month, per user. For Office Enterprise you get unlimited calling and faxing for $29.95 per month per user along with Team Presence, Call Recording and Attendant Console. Nexiva Connect starts at $8.95/month for the Single User Plan which gives you 100 shared minutes. Then you can go up to the Small Business Plan for $19.95/month with 500 Shared Minutes, and finally the Business Pro Plan for $6.95/month and unlimited shared minutes. Worried about contracts? Nextiva doesn’t lock you into any long-term contracts. So you don’t have to worry about cancellation fees. If, however, you decide you don’t like them, you will want to cancel before your next payment deducts.